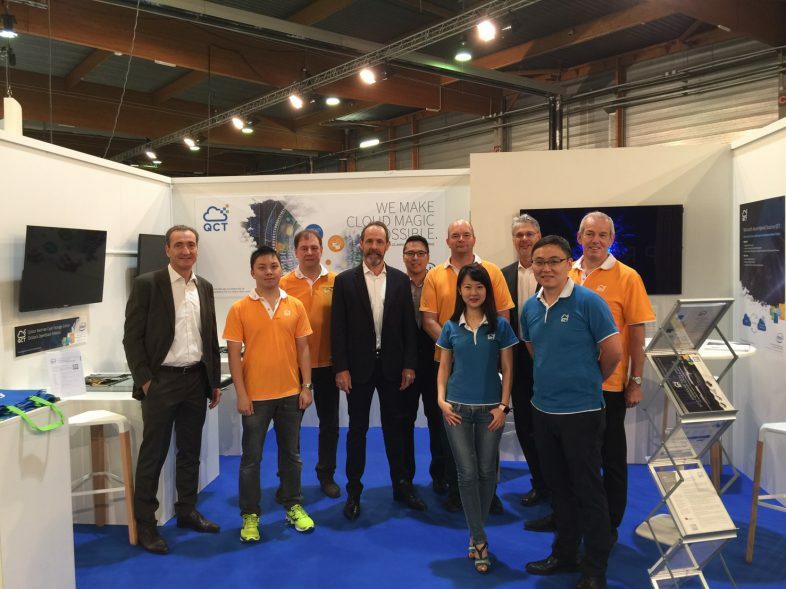 OVH is a French cloud computing company and ranked third among internet hosting company in the world. The OVH Summit is a free event that is aimed at IT professionals which started on October 16, 2017. It is a unique opportunity to meet over 2,500 IT enthusiasts who gather from France, Europe, and even North America. Cloud and hybrid infrastructures, digital IDs, e-commerce, data storage and archiving, internet connections and VoIP lines: these innovative themes are among the topics being discussed during this great event. Toshiba provides a wide range of SSD solutions for data centers, tailored to meet the requirements of server storage expansion and varied workload scenarios. Interested visitors can get information about the Second Generation QCT server products powered by Intel® Xeon® Scalable Processors as well as the latest TME SSD Products at the booth of both exhibitors. As a main part of the collaboration, visitors will find the QuantaGrid D52B-1U server not only at the QCT booth, but also at the TME booth. The same can be said for TME SSD Products, which can also be found inside the exhibited servers at the QCT booth.